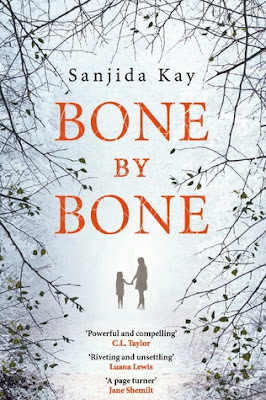 Sanjida Kay, a British author, pens her debut psychological thriller, Bone by Bone that unfolds the story of a recently divorced mother and her nine year old daughter, who recently moved to Bristol and started their life there. What they never expected that a childish innocent bullying would become something so life-threatening and the neighbors and rest of the townsfolk would turn against this mother-daughter duo. In the heat of the moment, Laura makes a terrible choice. A choice that will have devastating consequences for her and her daughter. Laura and Autumn has just moved to Bristol after the divorce. Autumn is admitted to the local public school, where she became the subject to bullying by older year boys about her looks, hair, her paintings and everything. Hearing her daughter's trauma, Laura took a step to bring up this matter to Autumn's class-teacher's notice. Unfortunately luck never played out on Autumn and Laura's favor as the teacher paid no heed to the complaints. And when one fine day, Autumn fails to return home from school, Laura gets paranoid and went outside to look for her, that is when she spotted a group of boys who have cornered her daughter and was taunting her. At the heat of the moment and as anger engulfed her, Laura took a terrible step to protect her daughter which finally left them even more terrorized and haunted till it came to the point which became life-threatening. I've always been a big fan of those kind of stories that will connect me with the story line as well as with the characters so deeply that ultimately, I'm washed over by an overwhelming feeling of pain and sympathy towards the characters. And this book falls into this category. The story is so addictive that I finished reading the book within few hours. The book is captivating and arresting from the first page to the last page that reveals an unusual kind of climax, which is justifiable. And not to mention that beautiful yet mystifying book cover. The author's writing style is eloquent yet the tone is dark. The author has filled the atmosphere and the mood of the story line with suspense. While reading, I had this constant feeling at the back of my mind that something terrible is bound to happen as day by day the bullying got worse with Autumn. And the air became more tensed when Laura tried to protect her daughter by taking step against bullying rather unexpectedly. The pacing of the book is super-fast as the book is thoroughly absorbing. The narrative is extremely engaging that kept me glued to the book till the very last page. The characters are very real and are well developed, highlighted with their flaws. Laura and Autumn both are the epitome of those unspoken victims of bullying. Laura is a caring mother but her on mistake made it living hell for her daughter. Autumn is meek and keeps things to herself. All through out the book, I felt simply sorry for this little girl who was bullied so much by her peers, and I almost stopped reading the book when the whole world turned against Autumn. Mainly, the characters held that psychological grip on my mind that I could not let go off even after the end of this book. The negative characters are so good and convincing with their evil and sneering demeanor, that I actually wanted to find them in real and kill them by myself. The author has handled and depicted the situation of bullying with sensitivity and realism. The stark reality of bullying in our society has been captured vividly by the author and bullying not only terrorizes a victim's life but it also ruins the victim's family and that the author has underlined with bold letters in her story line. Overall, I was left paralyzed and equally enthralled with this riveting and dark psychological thriller. Verdict: A must read for all genre readers! The author screams "Stop Bullying" silently with her debut page-turner. Courtesy: Thanks to the author, Sanjida Kay, for giving me an opportunity to read and review this book. Sanjida Kay is a writer and broadcaster. 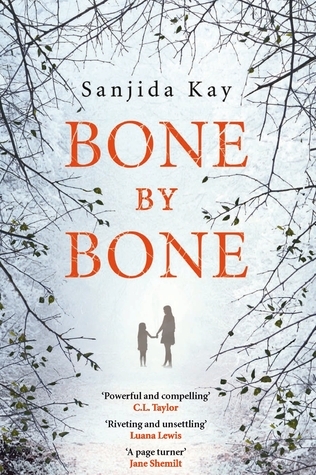 'Bone by Bone' is her first psychological thriller. She lives in Bristol with her husband and her daughter.